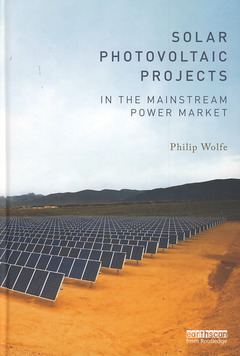 Develop large-scale solar photovoltaic projects with this book, to feed power into a grid. Contains case studies of the Waldpolenz Energy Park, Germany, Lopburi Solar Plant in Thailand and what will be the world’s largest PV plant, the Topaz Solar Farm in California. Also included are interviews from leading figures in the PV industry. Contents cover: planning and structuring projects siting, planning and connection issues building and operating projects technology basics economies of PV history and business of PV financing and regulation technical aspects of system design. Supported by figures and photographs, this is for anyone wanting to master the commercial, professional, financial, engineering or political aspects of developing mega-watt solar PV projects in a mainstream power market.